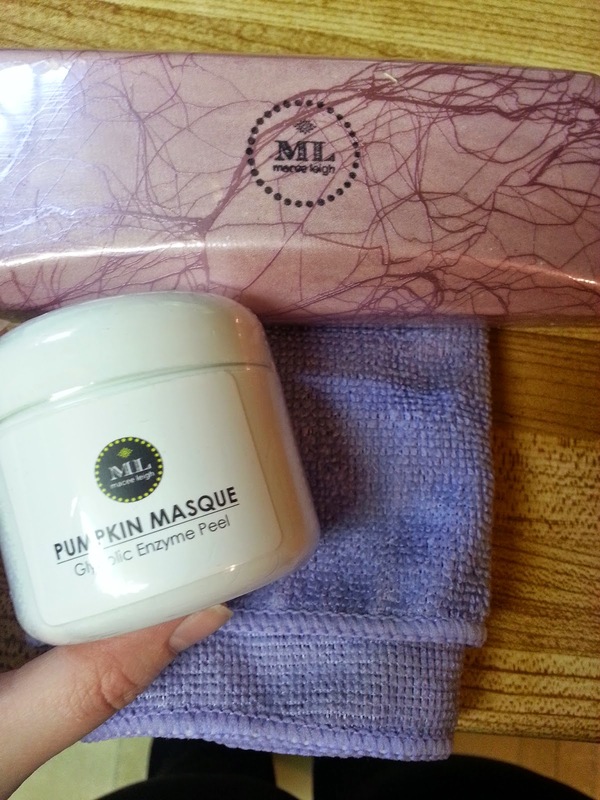 I posted that I had a few items from Macee Leigh that I wanted to review, so I'll start off with The Face Lift. Have you ever heard of The Makeup Eraser? 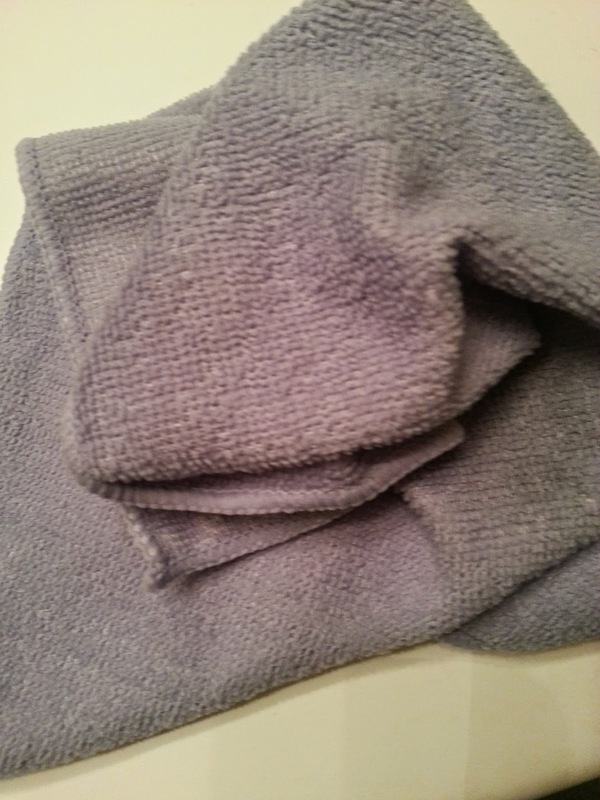 It's a cloth, and all you have to do is add water to it, and then you wipe your face and it removes your makeup? Well... this is exactly what The Face Lift is, except it's made by Macee Leigh, and it might even be cheaper if I recall correctly. That purple cloth under everything is the face lift. It comes in a few different colours, but my friend sent me the purple... which is fine with me! The lighting is kind of bad in my washroom - it's a little hard to tell, but one side is for exfoliation, and the other is a little softer. Both sides remove makeup though. It's also even harder to see in this picture the makeup on the cloth... but it really does remove all makeup, and effortlessly. It said in the instructions to wet the cloth, then wring it out, then you rub it in circular motions on your face. 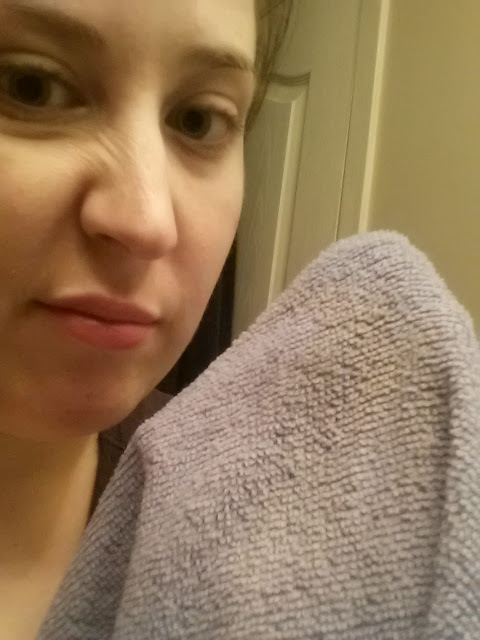 It didn't take much force, or tugging and it removed my waterproof mascara, and even fiber lashes. I even used some makeup remover wipes to see if it missed anything and there was a tiny bit of a mascara smudge that was under my eyes that I didn't get. But for foundation or powder, there was nothing left behind on the wipe. I have to say, I'm pretty impressed by this little cloth. It's soft, and it removes all of my makeup. I'm going to throw it into the wash this weekend and we will see if it removes the mascara stains, and if it removes make up just as well after being washed. I haven't seen any special wash instructions so into the regular laundry it will go! I'd definitely repurchase one of these when the time comes. It eliminates the need for so many cleansers. Don't get me wrong.. I will still use one in the shower, but using less cleansers on my face means less chemicals and less drying for me! My dry skin flakes have pretty much disappeared while using this!